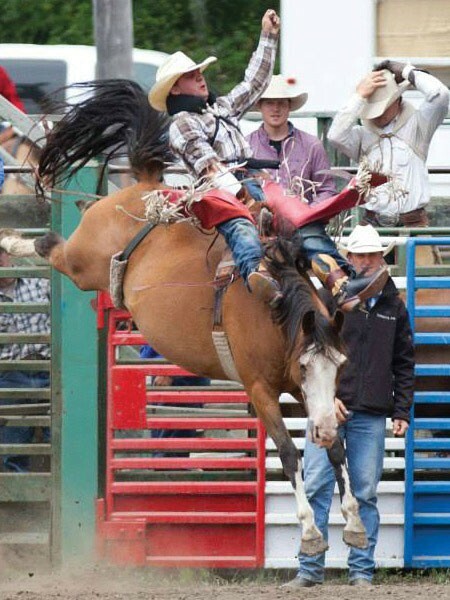 If you love roping, riding, carnivals and quaddin', then mosey down to Fortuna July 13-19 for the Fortuna Rodeo. They've been busting broncs and manhandling mutton since 1921 — that's 94 years of rough and tumble in the redwoods, partner. The party kicks off Monday, July 13 with a chili cook-off and live music on Main Street at 5 p.m., followed by a kids' fireman's muster and Polynesian barbecue on Tuesday at 6 p.m. at Redwood Village Shopping Center (free). Also for the young and young at heart, there's a carnival at Rohner Park open everyday at noon Wednesday through Sunday ($25 day pass). Wednesday sees street games on Main Street at 6 p.m. and the Junior Rodeo at 5 p.m. at Rohner Park Rodeo Grounds ($3, $1 kids). The youngsters continue their rodeo skills Thursday morning starting at 9 a.m. followed by barrel racing at 7 p.m. (TBA). See how the "Kidnapped Tourist" fares on Friday at noon on the Fortuna Library lawn, where visitors are roped in for sentencing — free lodging and passes to all rodeo events. Later, it's motor sports action night at 7 p.m. at the rodeo grounds, featuring Colten Moore — an extreme quad rider performing tricks and flips (that's right, he flips a quad) and local motorcycle star Julian D'Usseau ($7). Saturday, enjoy flapjacks courtesy of the Kiwanis Club 7 a.m. at the Rohner Park Cook Shack ($6, $4), the parade down Main Street at noon (free) and rodeo thrills at 2 p.m. at the rodeo grounds ($8, $5). In the evening, it's Bulls, Bands, & Brews with country rock from Chad Bushnell at 7 p.m. and bull riding at 8 p.m. ($7). Swap out your boots for sneakers on Sunday to participate in the Fortuna Rodeo Run/Walk at 9 a.m. (free to attend). Then head over to Rohner Park for barbecue and live music at 11 a.m. ($12.00). The rodeo action kicks up dust again starting at 1:30 p.m. ($8, $5).